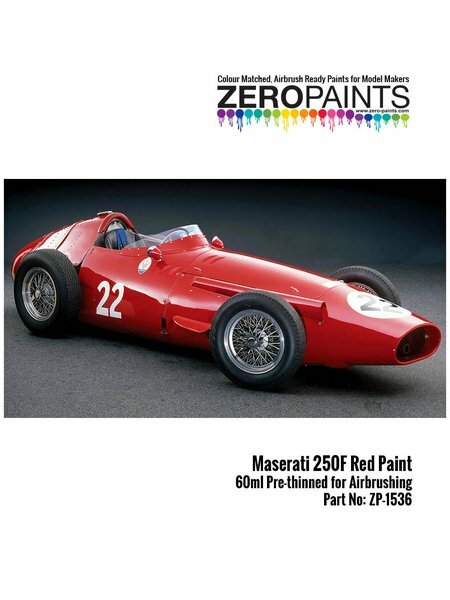 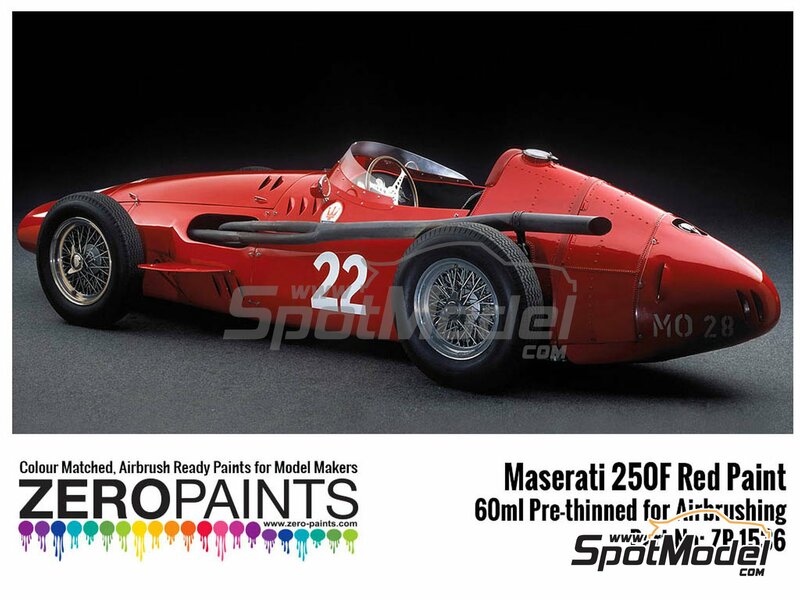 Red color tone, formulated from the original color codes used in the Maserati 250F. 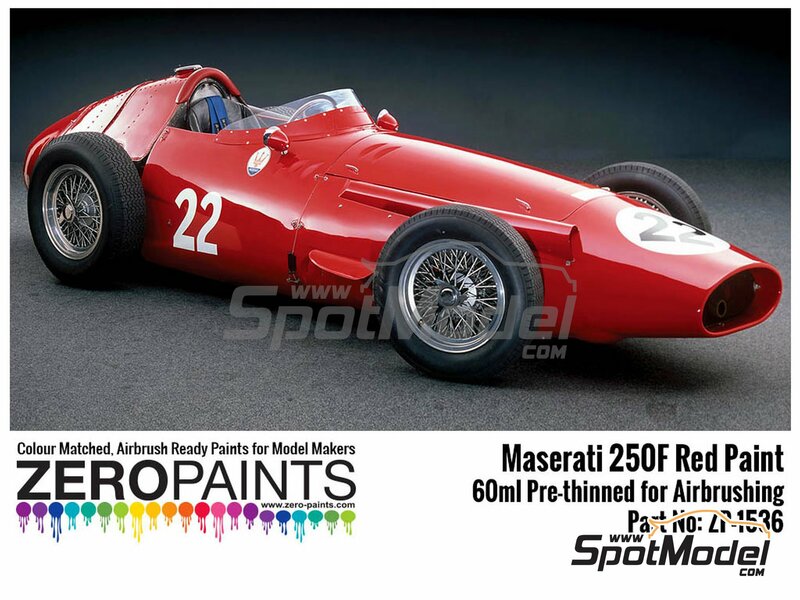 This painting is designed to be used exclusively with an airbrush. 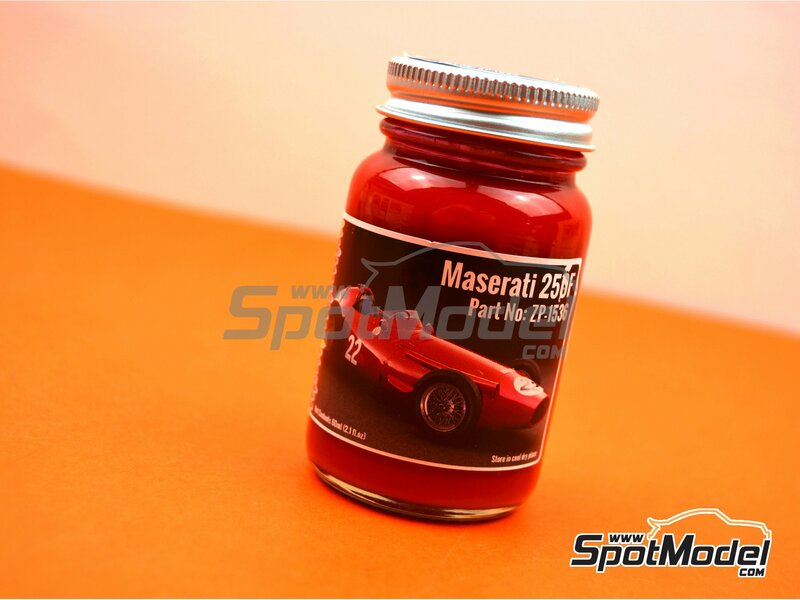 It requires a layer of varnish or lacquer to achieve the perfect shine. 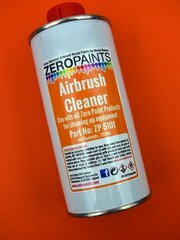 Manufactured by Zero Paints with reference ZP-1536.